The Conservatorium believes in celebrating diversity and encourages people to embrace individuality, to love, and be loved. 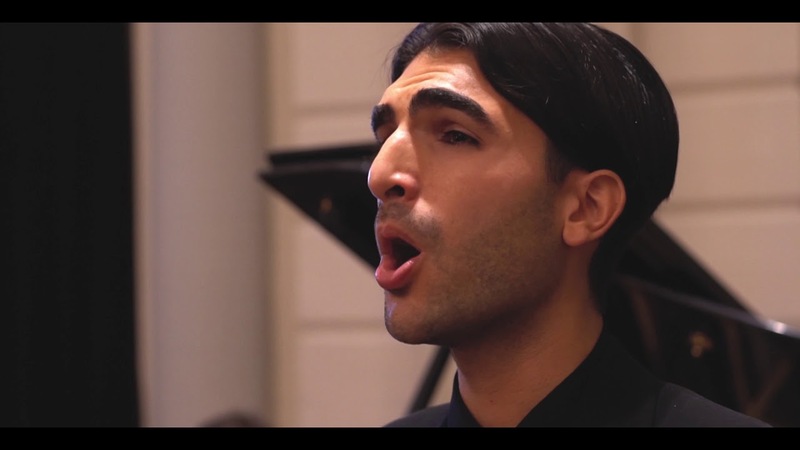 Since music has always flowed through the hallways of our historical building and in paying a homage to our history, we invited opera singer and student at the Conservatorium van Amsterdam Cameron Shahbazi and Aidan Mikdad to perform ‘Caro Mio Ben’ in the Concertgebouw. We asked Cameron about the creative scene in Amsterdam, the inspiration for his singing, his role in the LGBT community and the PRIDE activities. Praised for his “clear, flexible” and “voluptuous” voice, countertenor Cameron Shahbazi is quickly emerging as one of the most promising artists of his generation. The 2018/2019 season marks a house debut for Cameron at the Theater Aachen singing Disinganno in Handel's Il trionfo del Tempo del Disinganno. In addition, he will be returning to Dutch National Opera & Ballet to give a lunch concert, and will open for Anne Sofie von Otter with a solo program at the Muziekgebouw aan 't IJ. Check out Cameron's Instagram and Facebook pages to stay updated on his future performances. The Conservatorium has established a strong collaboration with the Conservatorium van Amsterdam; Amsterdam's University of the Arts, since the day of its opening in 2011. The philosophy of the hotel emphasises the heritage and history of the building, which has been the house of the former Sweelinck Conservatory of Music from 1983 to 2008. As well as giving the students of the Conservatorium van Amsterdam a podium to perform every weekend in the Lounge of the hotel, The Set Hotels hands out the Expression of Art Award every year, this award will give bands the opportunity to compete for a scholarship of €5000,- offered by The Set hotels. Enjoy the colourful creation of our Pastry Chef from 30 July - 5 August while sipping on a cup of coffee or Jing tea and listening to Conservatorium students perform live in the Lounge. The city is warming-up for Amsterdam Pride 2018. It will kick off on 28 July with the PrideWalk and Pride Park! Do you want to know what to do and where to go? Check out the official agenda with all activities, street parties, events, the Canal Parade and a whole lot more.